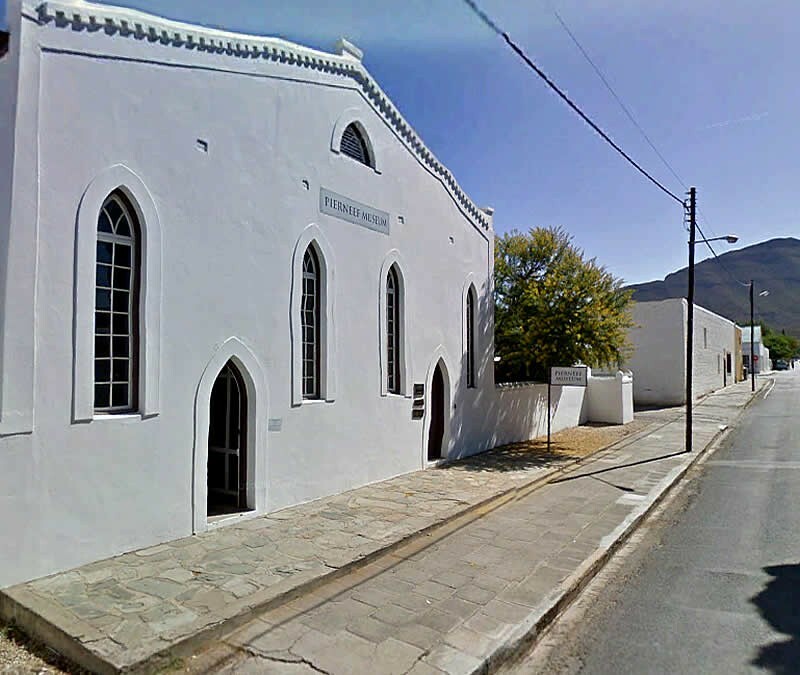 The Neo-Gothic building in Middle Street was originally a place of worship for the Mantatees, a refugee Sotho tribe that had fled south across the Orange River in the 1820’s. In 1870 improvements were made to the building. As the membership numbers dwindled and the remaining members joined the Parsonage Street Congregation the building was for years used as a storehouse and eventually fell into disrepair. Through the intercession of Dr Anton Rupert the property was restored and officially handed over to the Save Reinet Foundation in 1986 when it was renamed after Dr Rupert’s late brother Jan. The Jan Rupert centre has at present on exhibition “Jean Lurcat - French Tapestries”. Jan Rupert Centre (Pierneef Museum) is the second building on the right.